DUBLIN CITY MANAGER Owen Keegan has said that the public private partnership (PPP) company behind the Poolbeg waste incinerator project may seek to recoup funds if the project doesn’t go ahead. It’s not a simple of method of just stopping. There’s a real possibility that the company might say that they have a argument that they had a legitimate expectation that this would go ahead. The project has so far cost the taxpayer €96 million with just €4 million recouped by local government from the company behind it. The rest of these funds would likely be lost if the project is shut down according to Keegan ,who argued that these could be recouped “over a long period” if it went ahead. Keegan told the committee that the €96 million spent should be viewed in terms of the total budget of the project of €600 million, €500 million of which is slated to come form the PPP company. If the project goes ahead, this would be sourced externally by the company with local authorities likely to pay only “about €4-5 million”. In a submission sent to the committee, it was shown that the spend on consultancy fees for the process had increased from €8 million to over €30 million. Keegan was not in the position of Dublin City Manager at the time but said that a decision was taken at the time not to break a contract with outside consultants. This decision in hindsight has proven to be wrong he said. “I have no doubt that had we known that it would have gone on as long as it did then we would not have made that decision,” he said. The original project board was formed back in 2004 but as yet no final decision has been made on whether the project will happen. Keegan said today that the delays to the completion of the project were due to factors that “were largely outside of the control of the DCC”. The DCC manager was asked straight out if he believed that the project would go ahead, “I don’t know”, was his response. He said that the major obstacle to the project’s compaction is a challenge that has been submitted to the EU Commission which has been ongoing for three years. A number of committee members outlined their criticism of the project with Sinn Féin’s Brian Stanley TD saying he is “very concerned” about the monies spent so far. “€4 million has been recouped but the rest is being paid for by the public, and I don’t see any evidence of it on site, ” he said. Fianna Fáil Senator Averil Power questioned whether the project could be compared to the money spent on electronic voting machines, asking if ”it had gone too far for people to admit they were wrong”. The current CEO of Irish Water John Tierney was the Dublin City Manager from September 2006 to January 2013 and Labour TD Kevin Humphreys said that he would be seeking Tierney’s appearance to answer questions about the project. Email “Poolbeg incinerator company may look for repayment if project doesn’t go ahead”. 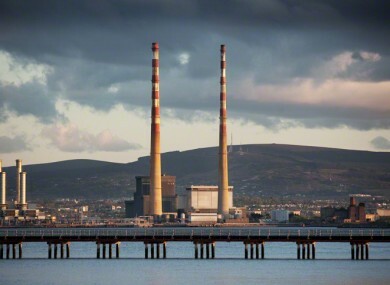 Feedback on “Poolbeg incinerator company may look for repayment if project doesn’t go ahead”.